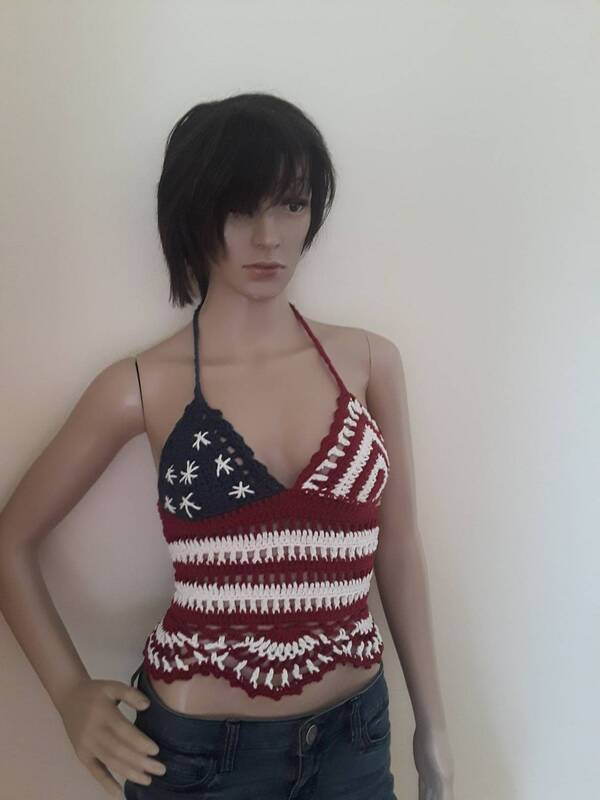 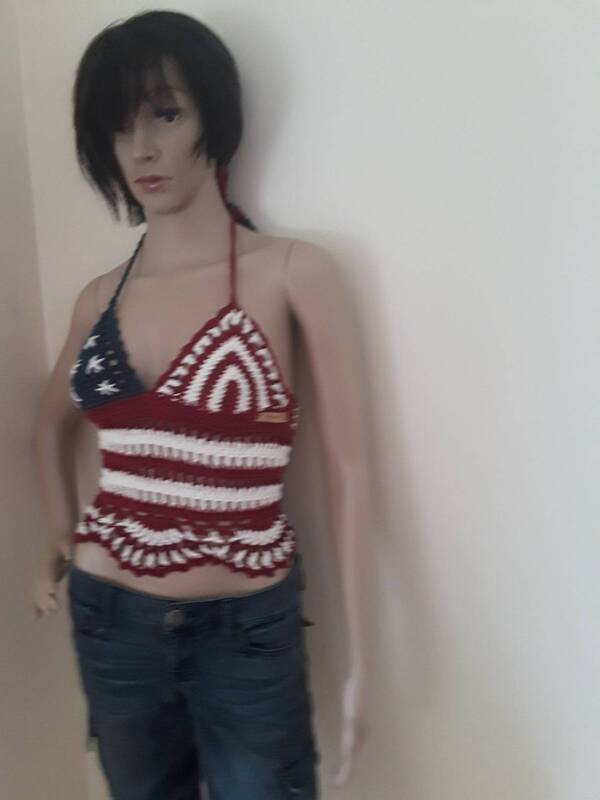 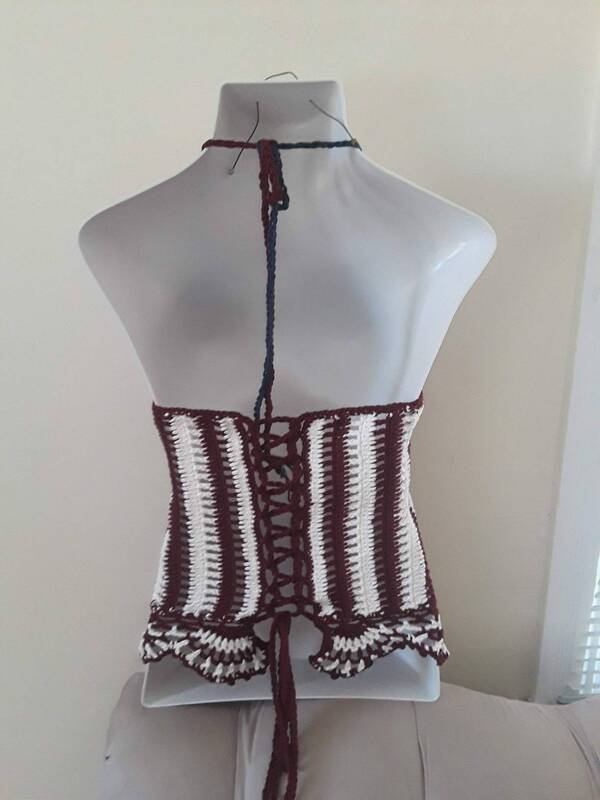 This is an AMERICAN FLAG crochet halter top. 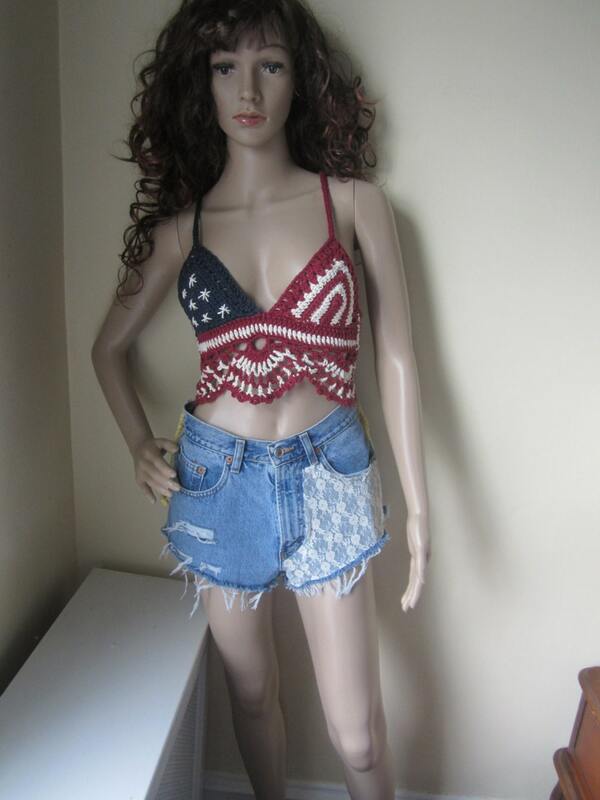 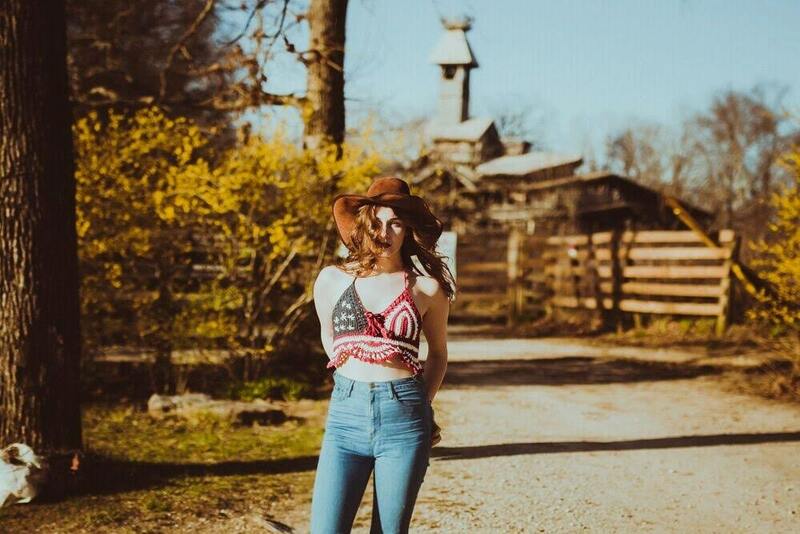 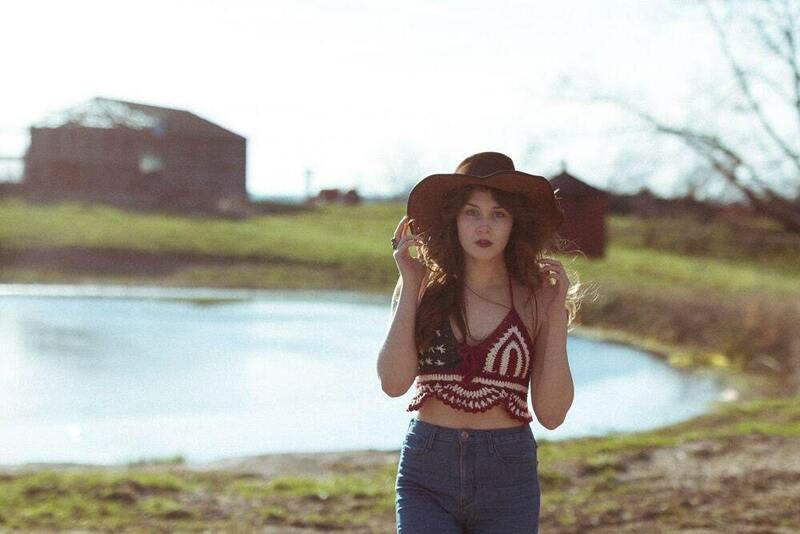 This top is a longer version of the American flag crop top. 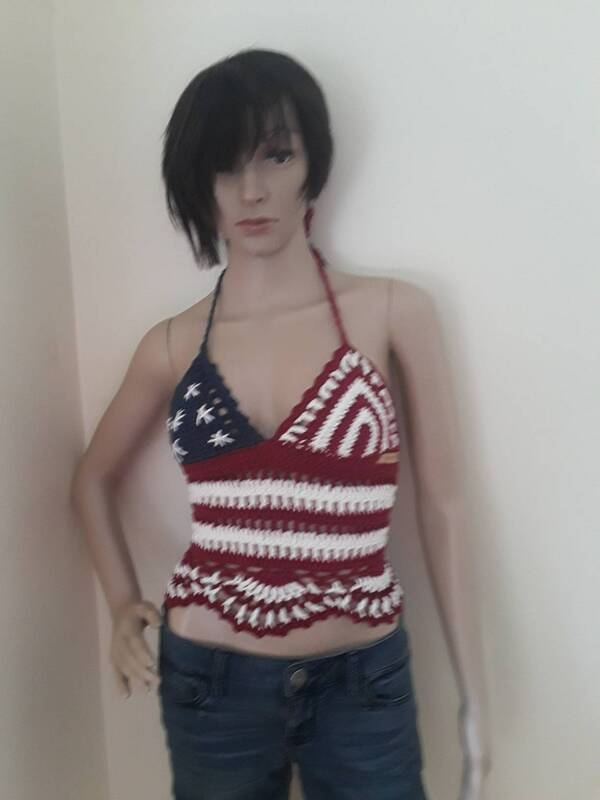 Top is perfect for all your 4th of July celebration needs,patriot needs, FESTIVAL needs, summer days and beach wear.